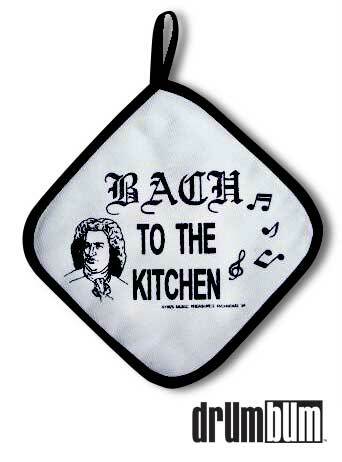 Bach… to the Kitchen Pot Holder – Have some music humor in your kitchen with the Bach to the Kitchen pot holder! A great classical music pun on an holder than will not only make you chuckle, but protect your hands at the same time. Pot Holder measures approximately 7″ x 7″ and have a heat resistant backing.